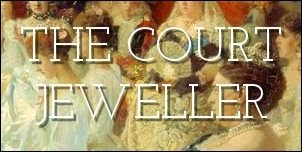 Today, we're postponing our usual weekly jewel roundup to look at the jewels worn by the Windsors at Sandringham this Christmas. Stay tuned next Friday for a super-sized edition of This Week in Royal Jewels! Christmas morning means a special treat for British royal watchers, as the royal family attends morning services at King's Lynn near the Sandringham Estate. HM wore a vibrant pink coat and hat to church, along with her usual daytime pearls. On her coat she pinned the Tudor Rose Brooch, a piece she's been wearing with some regularity since 2012. Some think it might have been a Diamond Jubilee gift. The Duchess of Cornwall, who is reportedly suffering from back problems, stayed back at the estate this year, so the second-ranking lady on the day was the Duchess of Cambridge. She chose a pair of earrings we've seen before: Catherine Zoraida's Double Leaf Earrings, which retail for £140. Autumn Phillips looks to have selected small gold earrings to accompany her Christmas outfit. Princess Beatrice, however, appears to have gone jewel-free -- not surprising, as she doesn't usually pile on the jewels. The Queen wore pearls for her annual Christmas message -- one of her two-stranded pearl necklaces, pearl earrings, and the Duchess of Cambridge's Pendant Brooch, a piece that originally belonged to Queen Mary's grandmother. The brooch had symbolic ties to the message this year, which discussed the centenary of the beginning of World War I. You can see photographs of King George V and Queen Mary (who were on the throne in 1914) in the background, plus one of the tins from Princess Mary's 1914 Christmas gift to soldiers.